I bought this cord skirt in navy and it is a truly beautiful colour. The skirt sits nicely on the waist and hips then flares out, making the fit really flattering. I would certainly recommend it. This is a well-made skirt in lovely material. I am very pleased with it. 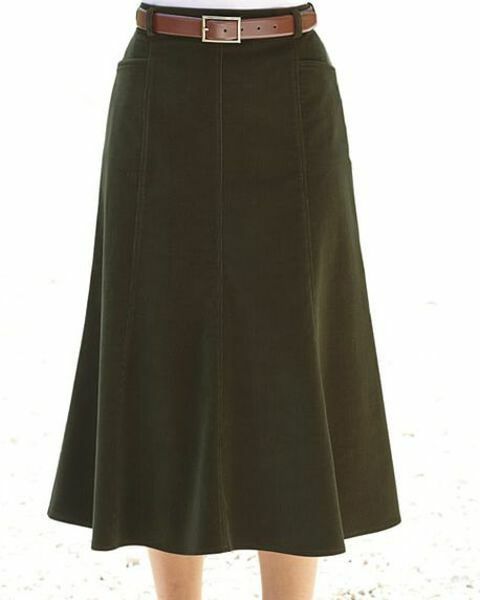 The skirt is well made of good quality material and fits well. I am very satisfied with this product. I already have a navy skirt in this style - the aubergine is a lovely colour to add to my collection. I ordered my usual (on other sites) size 10 but had to send back for a 12 which is still a neat fit around the waist. (A 12 can be big in the waist and on the hips for me.) The cord may relax as time goes on. Also changed to 33'' length which is ankle length but please that the A line does not make the skirt look dowdy. 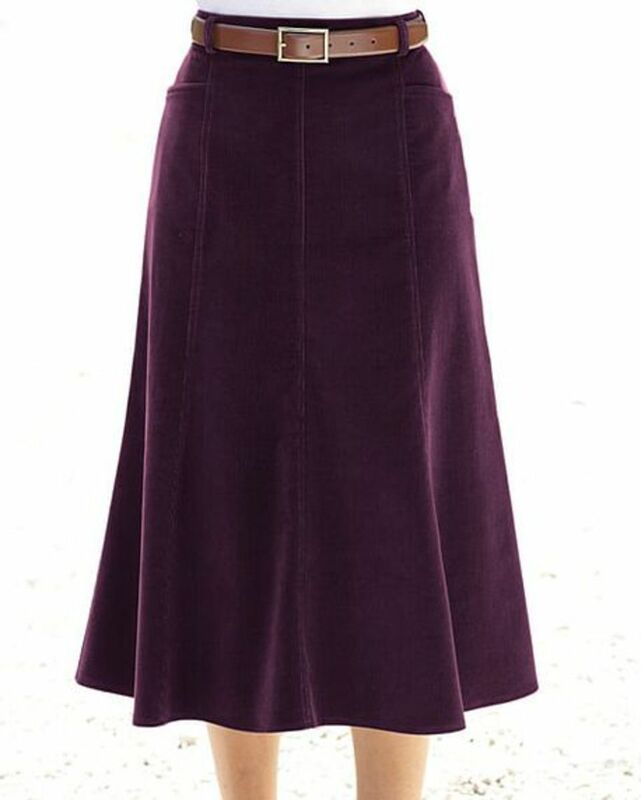 A good quality skirt for the money and warm in winter. Panelled "A" line needlecord skirt with back zip and button fastening. Side waist elastication for comfort and useful front pockets. Cut from 97% cotton/3% elastane, designed for a comfortable fit. Available in Lengths 27", 30" and 33"
"I bought this cord skirt in navy and it is a truly beautiful colour. T ..."